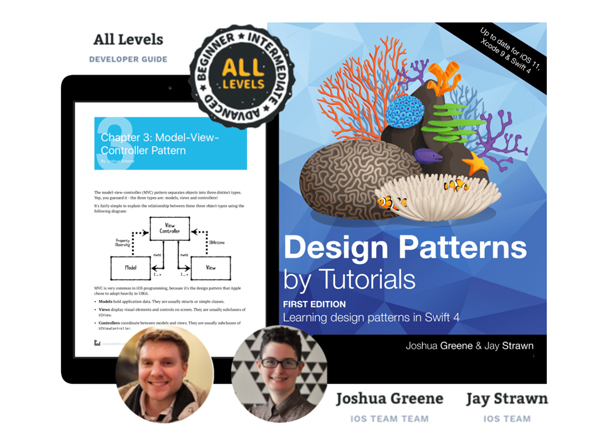 Meet our TurnToTech grad and now co-author of Design Patterns by Tutorials, First edition: Learning design patterns in Swift 4! Juliana Strawn, Jay for short, is 26 and already an accomplished iOS grad of our school, and now author of this amazing, educational book. Jay decided to go into tech almost two years ago. She’s currently working on a couple for projects for Ray Wenderlich in addition to the book, and applying for jobs. She also used to work as an iOS Developer for a boutique dev shop in Austin, Texas (a remote position), while still living in New York City). What first steps did you take to publish the book? I’m excited about this one. When I was working at Harmony Innovations, my boss, Joshua Greene, invited me to be his co-author on Design Patterns by Tutorials. We worked full time on the book because we wanted to announce it at RWDevCon as a surprise. How long, from concept to reality did it all take? We had a lot of challenges to work with. I was on a fantastic team of writers and editors who live all over the world, so we had to think about time differences for our meetings. Additionally, problem solving can be tricky when everyone is remote – I’m glad screen sharing is so easy to do these days. The book is still ongoing with a free update scheduled to release in late Spring, and has been in the works for years. I got involved when the book was about 40% written. Joshua Greene is an accomplished senior developer. He’s been a writer with Ray Wenderlich for years. I remember googling him when I got the job offer and not only being very impressed, but realizing that while I was a student at TurnToTech, I’d read some of his tutorials! Josh recently accepted a position at Amazon in Austin, TX and continues to write for Ray Wenderlich. Why did you pursue this? Not only was this an awesome opportunity, but my degree in Comparative Literature means that I have an extensive background in writing, and writing a book about coding combined two of my favorite things! When I was a kid, I wrote a lot of poetry and short stories, and dreamed about becoming a published author. This is not what younger me thought I’d write a book about, but I’m very happy with this now! Any new projects/inspirations born from this venture? This book has opened doors for me on the site, and I’m pursuing other projects with Ray Wenderlich now. They’re a fantastic group of people to work with. 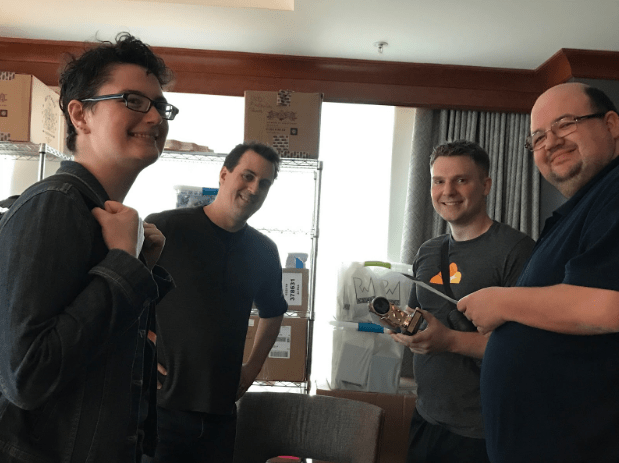 This is a photo of (left to right) me, Ray Wenderlich, my co-author Joshua Greene, and one of the editors, Darren Ferguson. This was my first time meeting everyone in person, taken shortly after I arrived in Washington D.C., for the convention. Estimated final release date: Late Spring 2018.